Review: When I was 13 years old (back in 1977) my parents took me to the cinema to see PAINT YOUR WAGON (the title in Portuguese was “Elizabeth’s Husbands”), a musical western. By that time, although I had already seen the movie MY FAIR LADY, I wasn’t that familiar with the work of Lerner & Loewe. The movie wasn’t great, but I fell in love with four of its songs: “I’m On My Way”, “I Talk to the Trees”, “They Call the Wind Maria” and “A Million Miles Away Behind the Door”. Years later, I discovered that this last song, plus a few more, had been specially written for the movie adaptation by André Previn and Lerner. 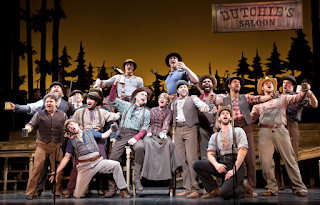 Although Lee Marvin and Clint Eastwood didn’t sing very well, I always enjoyed the movie soundtrack and I was very disappointed when I finally got the original Broadway cast recording. In it, the score sounded a little bit boring and the cast didn’t convince me. So, it was with caution that I approached this new recording of the score and got a lovely surprise. I believe this is the most complete recording of the 1951 score and the best ever. The songs sound fresh, the cast couldn’t be better and there’s a true western and gold fever flair in it. The orchestrations are terrific and The Encores! Orchestra plays the music with pleasure. 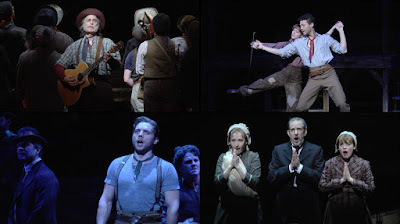 Leading the cast, Keith Carradine sounds like he has just come out of THE WILL ROGERS FOLLIES; his country voice is perfect for the material and his “Wand’rin’ Star” couldn’t be better. Justin Guarini beautifully delivers “I Talk to the Trees”, plus the other ballads “Another Autumn” and “Carino Mio”. Alexandra Socha is a revelation as Jennifer and gives true life to songs like “What’s Goin’ On Here?”, “How Can I Wait” and “All for Him”. One last word to Nathaniel Hackmann, who gives us a strong rendition of one of the best songs of the score, “They Call the Wind Maria”. Everyone in the cast gives their best and sound like the real thing. In conclusion, this Encores! recording deserves to be part of every musical lover music library and I just wish someone would always record the Encores! productions. 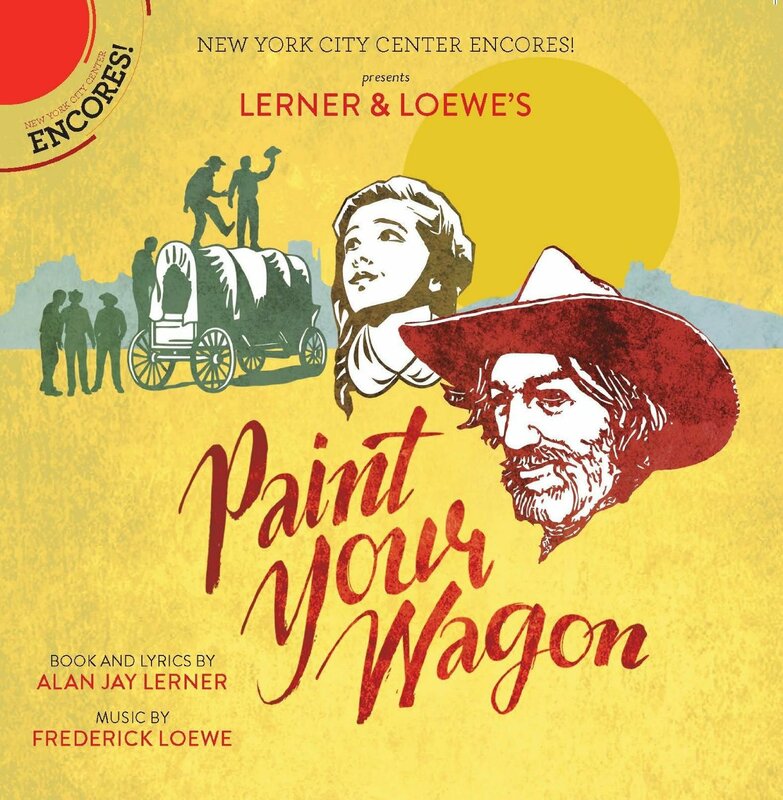 So, accept the invitation of “I’m On My Way” and come along to a joyful ride to the old west and rediscover this melodious score by Lerner & Loewe! I can't wait to get my hands on this CD. The score has long been overdue for a fresh recording. The movie was atrocious and sound on the Original Broadway Cast recording is rather primitive. 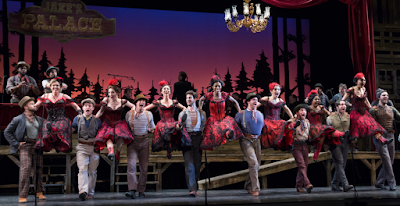 I saw this production and knew the obc pretty well. I have got to admit this cast sang the score beautifully and though I missed the huge male chorus of the movie having this cast is a must for people who love this ravishing bumptious score.